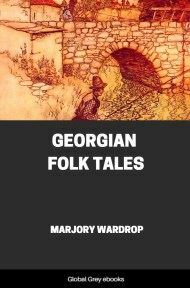 A treasure-trove of Slavic mythology, tradition, folklore and ethnography. There are plenty of songs, not only from Russia but every part of the Slavic region from Serbia to Siberia. The songs are used as a starting point for a wide-ranging discussion of pre-industrial Slavic peasant life, including weddings, funerals, witchcraft, demonology, games, riddles, and seasonal traditions. 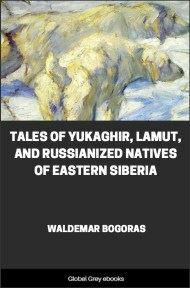 Also covered are the details of Russian pagan religion and mythology, with comparisons to related topics such as Vedic and Germanic mythology. BEFORE entering upon the consideration of the more important features of the poetical folk-lore of Russia--the relies of mythic and ritual song, the remains of a wide-spread system of sorcery which have drifted down to our days in the form of truncated spells, exorcisms, and incantations, and the fragmentary epics or metrical romances called Builínas--before endeavouring to fix the fleeting images they offer of the past, it may be as well to tarry awhile in the present; to trace a rapid outline of the general aspect of Russian popular poetry; to give some brief account of the songs which are sung on ordinary occasions by the peasantry, of the times and places when and where they are usually to be heard, and of what manner of persons they are who sing them. And perhaps the simplest method of conveying this information will be to describe in a few words what are, so far at least as the younger members of the peasantry are concerned, two of the most popular institutions of Russia--the Khorovod, or choral dance, and the Posidyelka, or social gathering. As soon as the long winter has fully passed away, and the spring has made its welcome influence felt, the thoughts of the younger members of every village community in Russia begin to turn towards the blended dance and song of the Khorovod. Before long, what are called the vernal Khorovods are making their voices heard all over the land, to pass successively into those of summer and autumn, before they disappear at the approach of wintry weather. Whence were derived these circling dances to the sound of song, or at what period, they gained their hold upon the Slavonic peoples, neither history nor tradition can say. All that the Russian peasant cares to know about them is, that they formed the favourite solace of generation after generation of his ever-toiling and often suffering ancestors, and that the songs which belong to them have been for the most part carefully handed down from parent to child from some remote period of time of which he has but a very vague idea. Nor have the researches of the learned thrown any very clear light on the subject, nothing definite being known even as to the origin of the word Khorovod--one of which the equivalent, among many of the Slavonians, is the simpler term Kolo, a circle. But it is not on the history of the Khorovod that it is proposed to dwell at present, but rather on the songs associated with it, on the poetical delineations of Russian social life for which it has offered itself as at once canvas and frame, on the long series of versified domestic dramas towards the performance of which it has from immemorial times contributed successive generations of actors. To the student of the popular poetry of Russia the Khorovod is one of the most instructive, as well as interesting, of the institutions of the country. How rich in popular poetry that country is but few foreigners are thoroughly aware. And indeed there are many of its natives who have but a very slight idea of the poetic wealth amassed by the great body of their countrymen--the full appreciation, and the careful study of the songs of the common people being among the results of comparatively recent times. 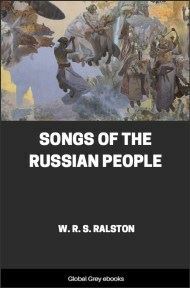 A vein of natural and genuine poetry runs through the thought and speech of the Russian peasant, and so in the songs which accompany him through life there is a true poetic ring. But it is not on their poetic charm alone that their value depends. They have the additional merit of frequently offering a faithful picture of the manners of the people by or among whom they are sung; of often echoing the expressions, and embodying the sentiments, of the many millions of Russian men and women of low degree, with whose inner Eves it is not easy to become acquainted. As in the Builínas, or "metrical romances," to which the people love to listen,--fragmentary epics dealing with the adventures of princes and heroes,--the dimly-seen form of the historical past of Russia is supposed by most of their commentators to reveal itself; so in the songs of the villagers, by common consent, may be recognized the principal features of the life led within the family circle by the Russian peasants. On them, remarks one of the. principal collectors of his country's popular poetry , their songs have no slight influence. Commencing at the side of his cradle, song accompanies the Russian man during the games of his childhood and the sports of 'his youth, and gives expression to his earliest feelings of love. In the ears of the girls it is always ringing; and if it depicts in sombre hues the unwelcome change from maiden freedom to wedded subjection, it also paints, in glowing colours, the happiness of mutual attachment. 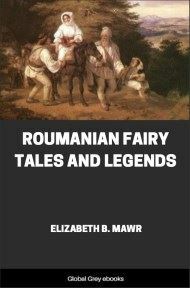 To the husband and wife it suggests many a form of loving words, and teaches them how, with croons about the "evil Tartars" of olden days, to lull their babes to sleep, and to soothe the restlessness of their elder children. Song lightens the toil of the working hours, whether carried on out of doors, amid exposure to sun and wind, and rain and frost, or within the stifling hut, by the feeble light of a pinewood splinter; it enlivens the repose of the holiday, giving animation to the choral dance by day and the social gathering by night. The younger generation grows up, and song escorts the conscript son to the army, the wedded daughter to her new home, and mourns over. the sorrow of the parents of whom their children have taken what may be a last farewell.